ATLANTA -- In an emotional video posted to YouTube, the children of a woman on Georgia's death row for plotting their father's murder are seen begging for her life to be spared. 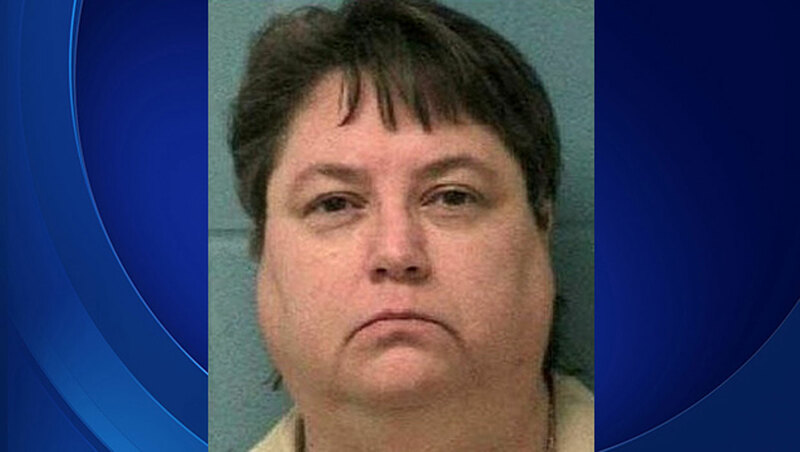 However, on Monday, a federal judge denied 47-year-old Kelly Renee Gissendaner's emergency motion for a stay of execution, reports CBS affiliate WGCL. Lawyers for Gissendaner had asked U.S. District Court Judge Thomas Thrash to stay the execution and give himself time to rule on their request to reconsider his dismissal of a complaint they filed in March. Gissendaner's lawyers plan to appeal Monday's ruling to the 11th U.S. Circuit Court of Appeals. She is scheduled to be put to death by lethal injection at 7 p.m. Tuesday. Gissendaner is the only woman on Georgia's death row. If the execution happens, she will be the first woman executed by the state in 70 years. Gissendaner was convicted of murder in the February 1997 slaying of her husband, Douglas Gissendaner. Prosecutors said she conspired with her lover, Gregory Owen, who stabbed Douglas Gissendaner to death. Owen, who took a plea deal and testified against Gissendaner, is serving a sentence of life in prison with the possibility of parole after 25 years, according to the Atlanta Journal Constitution. Gissendaner's supporters on Sept. 19 released a video featuring two of her three children. Dakota and Kayla Gissendaner talk in the video about overcoming their intense anger at their mother and the difficult journey to forgiving her. "My brothers and I have dealt with our anger toward our mother and her role in dad's death in different ways, but we are united in our hope that she won't be executed. We've lost our dad. We can't imagine losing our mom too," Kayla Gissendaner, who was 7 when her father died, wrote in a statement that accompanied the video. In the video, Kayla Gissendaner said she didn't believe her father would want her mother to be executed to spare his children from more pain. She said her mother has grown and changed while she was in prison, describing her as "my biggest cheerleader." "She is all we have left," Kayla Gissendaner said. Joining those that oppose her execution is former Georgia Supreme Court Chief Justice Norman Fletcher, reports WGCL, who said in a statement he wished he had dissented when that court voted in 2000 to uphold the death sentence. Fletcher told the station he changed his mind after learning that Gissendaner's accomplice later admitted he lied about her being there for the murder. "If we had known that, it could have very well changed some outcome," said Fletcher, who opposes the death penalty. In a statement released to WGCL and other news outlets, Doug Gissendaner's family said the focus should be on the victim. "She had no mercy, gave him no rights, no choices, nor the opportunity to live his life. His life was not hers to take," the statement read. Kelly Gissendaner was previously scheduled for execution on Feb. 25, but that was delayed because of a threat of winter weather. Her execution was reset for March 2, but corrections officials postponed that execution "out of an abundance of caution" because the execution drug appeared "cloudy." Georgia corrections officials temporarily suspended executions in the state until a drug analysis could be done. In April, they released lab reports, a sworn statement from a pharmacological expert hired by the state and a short video showing a syringe of clear liquid with chunks of a white solid floating in the solution. Corrections officials have said the most likely cause of the formation of solids in the compounded pentobarbital was shipping and storage at a temperature that was too cold, but they noted that storage at a low temperature does not always cause pentobarbital to precipitate. The Georgia Department of Corrections does not currently have pentobarbital on hand but will obtain it before the execution date, spokeswoman Gwendolyn Hogan said in an email. Gissendaner's lawyers had filed a lawsuit in March saying the period of uncertainty after her execution was postponed -- not knowing whether the state would try to proceed again before the execution window expired and what drugs it might use -- amounted to "unconstitutional torment and uncertainty." They also raised questions about the quality of the lethal injection drug the state would be able to get in the future. A federal judge last month dismissed that lawsuit, and Gissendaner's lawyers had asked him to reconsider.